I can't believe it's almost summer! How is the first day of summer only a little over a month away? I say that but I've had my AC on for about 2 weeks so I shouldn't really be surprised. 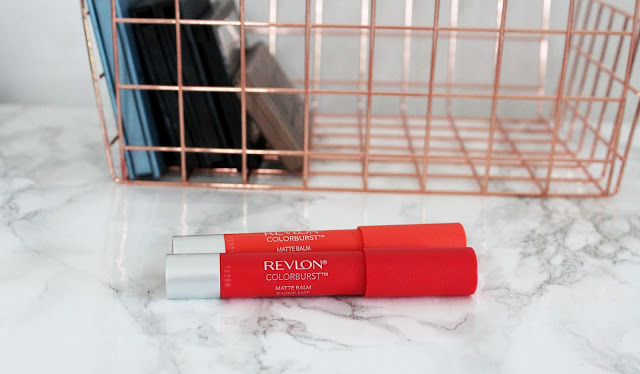 I have always been a fan of any shade in any season so instead of going all reds or all corals or nudes I've compiled a little list for you if my favorite lip products that wear really well in the heat. 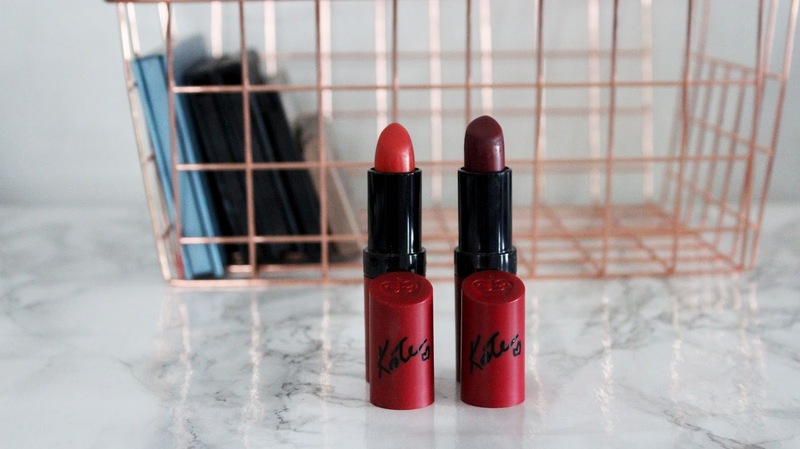 I honestly don't think I will ever make a lip post without mentioning Rimmel Lasting Finish Matte Lipsticks by Kate Moss. 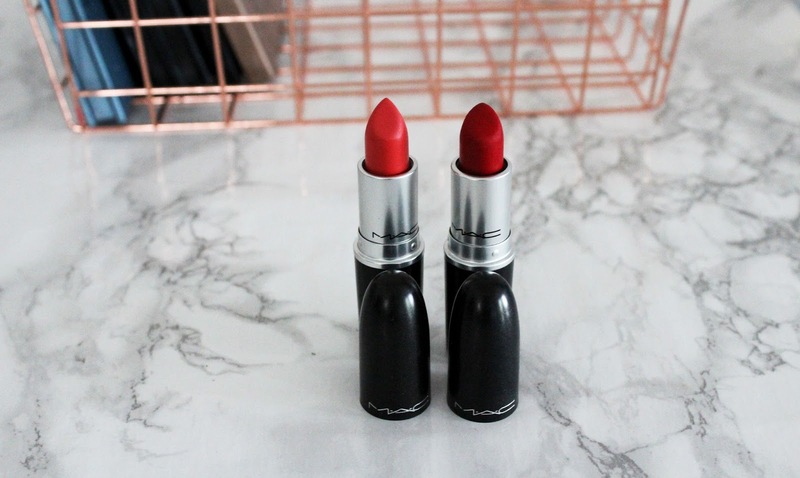 They are my favorite lipsticks! They come in a really nice range of shades and look beautiful! Today I picked the shades, 107, a berry, and 109, a coral. I adore 107! If you've ever read one of my other lippie posts you've probably heard me rave about it. It is such a pretty berry! 109 is a coral on the pink side. It's a bit muted to so it isn't super bright. Both shades wear beautifully in the summer heat and hold up well to drinks and food. They aren't drying and wear for 6-8 hours! Next my classic red love, MAC Retro Matte Lipstick in Ruby Woo. 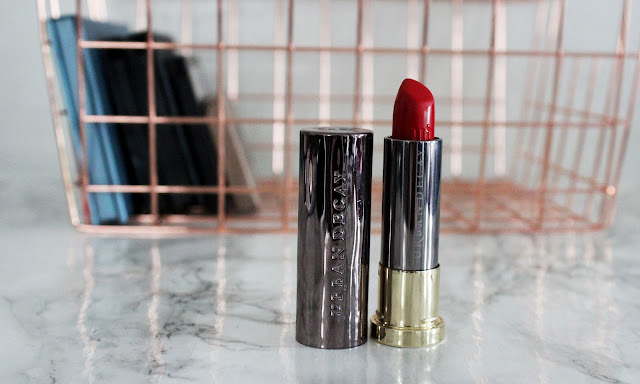 I adore classic reds and this one is the best! Trust me I have about 15 classic reds. This one is the winner. Also in the MAC matte family I have MAC Matte Lipstick in Tropic Tonic. It is a pink coral too but it is much more colorful that Rimmel 109, however I still love both. Next I have Urban Decay Vice Lipstick in 714. It's another classic red but it is a little brighter than Ruby Woo. Ruby Woo is more of a blood red where 714 is a brighter lighter red. 714 is one of UD's mega matte shades. I adore this formula! It's smooth and super matte but isn't drying. I love the way it wears! Next up is Rimmel London Show Off Velvet Matte Lip Lacquer. I actually just went to search for this on Rimmel's site for the proper name but couldn't find it anywhere. I didn't hear anything about it being discontinued and walgreens still had it on there website. I have the shade Burning Lava. It is a great red that wears well and dries to say put. If you can find it get it! It's really great! Lastly, Revlon ColorBurst Matte Balms. I love this balms! They are smooth and creamy but stay matte. They give no transfer after a quick tissue blot and last all day! They are pigmented and don't dry out the lips. Today I've chosen the shades 245, Audacious. a orangey coral, and 240, striking and bright light red. I really love these shades. As you can see I just got 245 but I've used 240 quite a bit. I do love my reds. I personally am not a big summer fan. I prefer Fall and winter. It's hockey season and it's not as hot. I have a huge sensitivity to heat. But I do love the fairs and carnivals and going to the Drive-in. My small town still has one. I enjoy summer nights more than the days. It's cooler at night and all the crickets and night birds and tree frogs come out. Anyway. 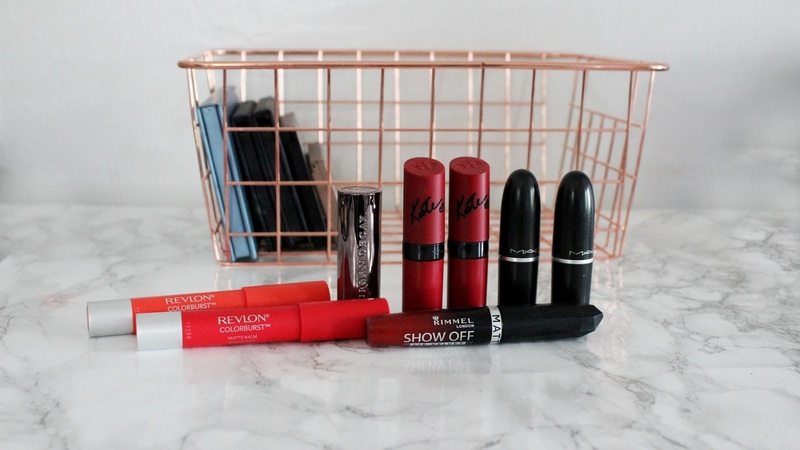 I can't wait to do a bunch of stuff this summer and rock some of the lipsticks on this list! What will you be wearing on your lips this summer? Let me know in the comments down below! I love UD's vice lipsticks! They are amazing! 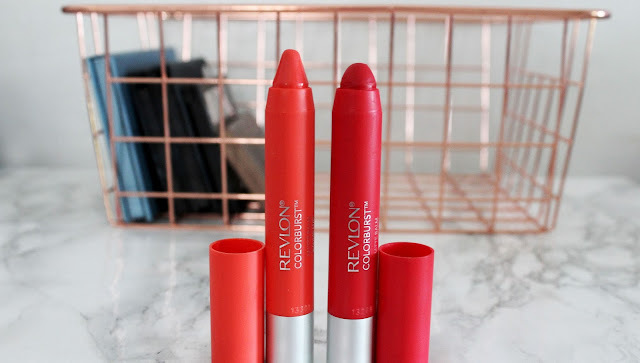 The revlon ones are nice. I had issues with the mint smell at first but it goes away a little while after applying. I adore reds. These aren't even a fraction of my collection. I just love red lips! I'm sure they'd look good on you! I think everyone looks good with a red lip!